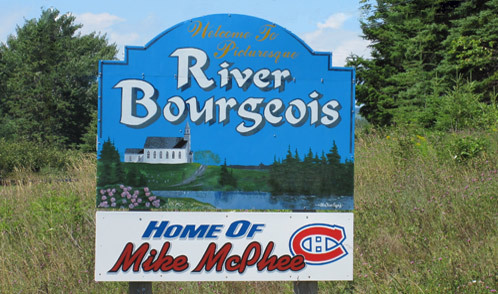 The scenic community of River Bourgeois. Looking towards South Side. Photo by Julia Burke Photography. 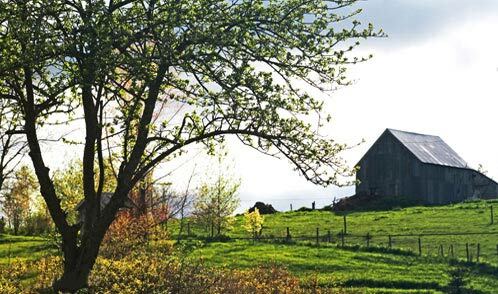 Farm on Hwy. 4 - Photo by Julia Burke Photography. 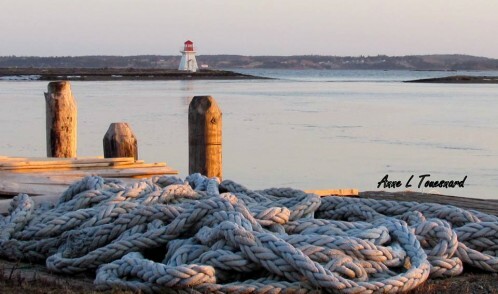 Lighthouse photo by Anne Louise Touesnard. 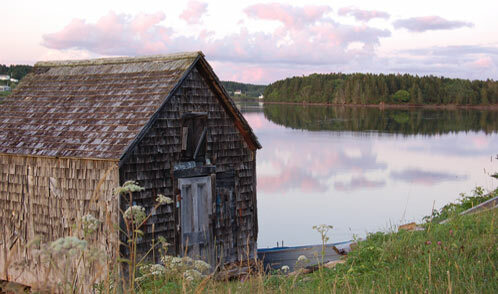 Boat shed on South Side. Photo by Marina. 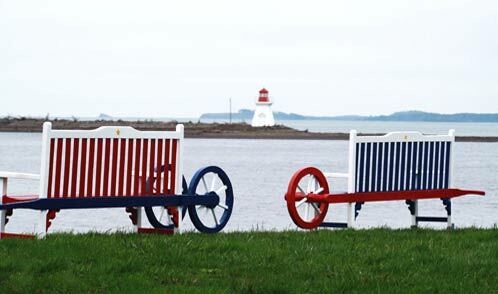 Unique benches. Photo by Julia Burke Photography. 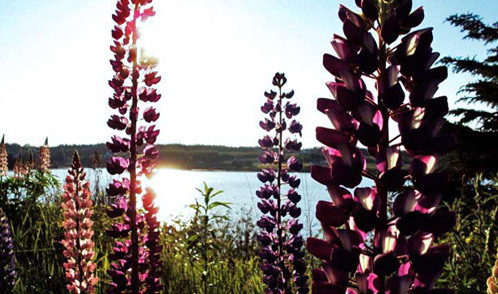 Lupins in the setting sun. Photo by Julia Burke Photography. North Side from Church Point. Photo by Marina. 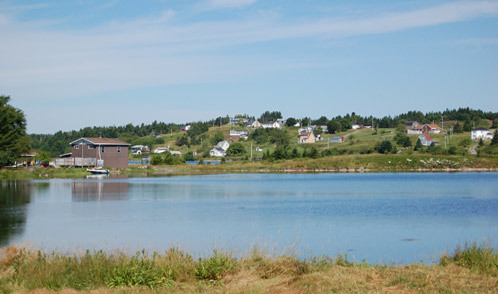 River Bourgeois (population 650) is a close-knit, small community in the Canadian province of Nova Scotia located on the south shore of beautiful Cape Breton Island. 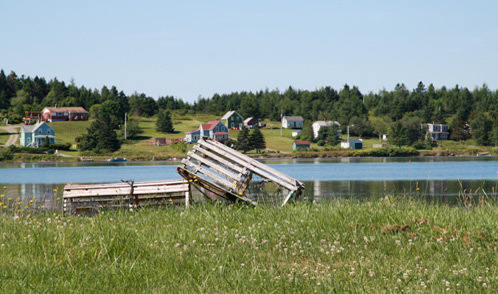 The community was settled in 1714 and more than 50% of the residents have roots in the Acadian culture. 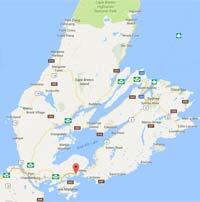 To visit a place that could rival anywhere for its picturesque scenery, you will find River Bourgeois situated in Richmond County along route 4, 48 kilometres (30 miles) east of the Canso Causeway and 6.4 kilometres (4 miles) west of St. Peter’s.